This entry was posted in God and tagged expectations, Grace, Hope, Life, Love, poem, poetry, Words. Bookmark the permalink. 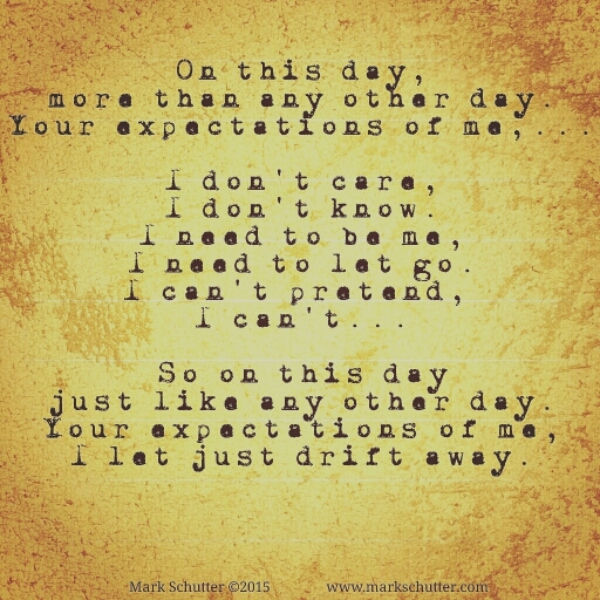 Some days you just have to drop other’s expectations into the moat and let them go… Love this. Thanks, and you are so right!